The City of Calgary is in the early stages of reviewing how three properties (identified below) in East Inglewood are currently utilized. These properties are residual lands remaining from the original plans for Blackfoot Trail. While there is no immediate plan in place, we would like to explore how these lands could be developed and enhanced in the future. INPUT IS CLOSED. Please click here for the What We Heard report. In 2017 through a Notice of Motion, Council directed administration to undertake a review of the subject parcels, exploring their potential for development, opportunities for affordable and market housing and potential for open space enhancement. Blackfoot Trail originally ran through this area until it was re-aligned in the early 1980’s. 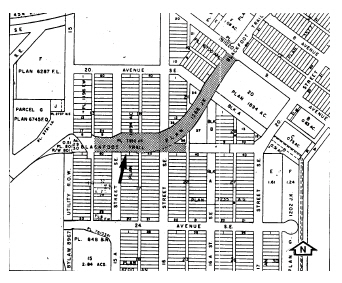 When re-aligned, the area was subdivided into City-owned parcels for the purpose of multi-residential development with some areas designated as municipal reserve (generally intended for park or recreational space). 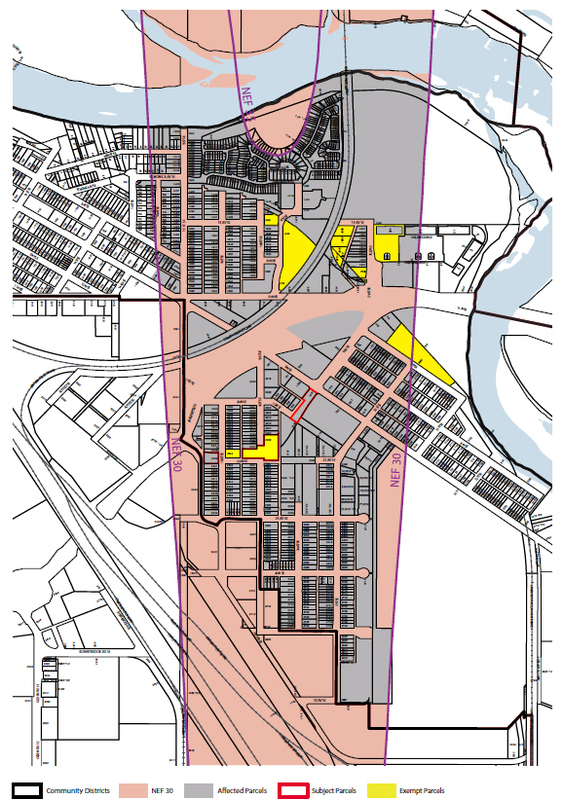 The three subject parcels are City-owned land. 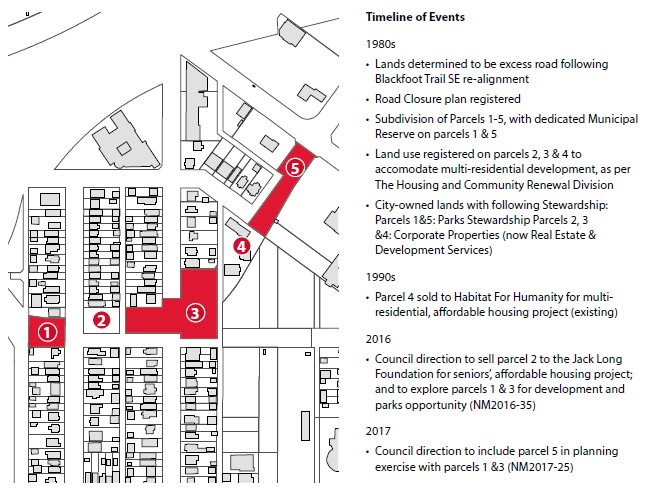 At the time Blackfoot Trail was re-aligned, parcels 2255 15A Street SE and 1851 9 Avenue SE were deemed municipal reserve and placed under Parks stewardship. Parcels 1835 10 Avenue SE (now Habitat for Humanity), 2244 15A Street SE (now Jack Long Foundation) and 2230 16 Street SE were identified for redevelopment and placed under Corporate Properties (now Real Estate & Development Services) to steward and develop the land. Temporary off-leash areas exist as exemptions to the City’s Off-leash Area Management Plan 2010. Both 2255 15A Street SE and 2230 16 Street SE were temporarily designated as off-leash areas. Temporary off-leash areas are at times designated in the city when the desired land is within the City’s inventory and is not stewarded by Parks or is planned for future development. Temporary designations remain until the designated land is needed for its original purpose. This regulation establishes allowable uses within certain locations, identified as Noise Exposure Forecast (NEF) areas, due to potential noise impacts from aircraft flying over the community as they arrive or depart from the Calgary International Airport. 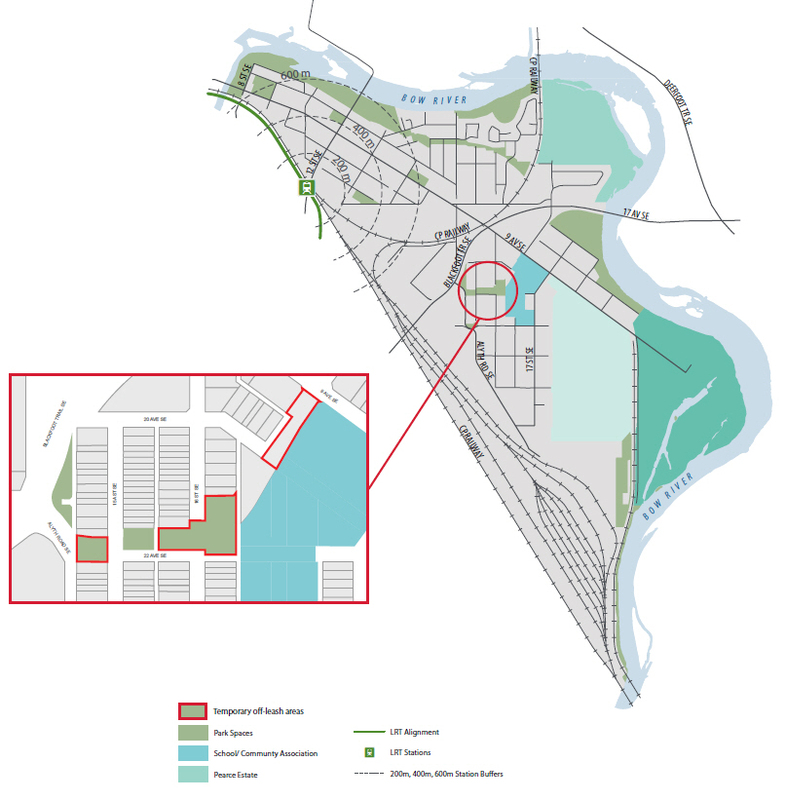 While existing residences in the area are allowed, subdivision and redevelopment that increases the number of dwelling units is currently prohibited in the NEF 30+ areas, unless an exemption is granted by the Airport Authority and the Alberta Government. How does the AVPA relate to the subject parcels? 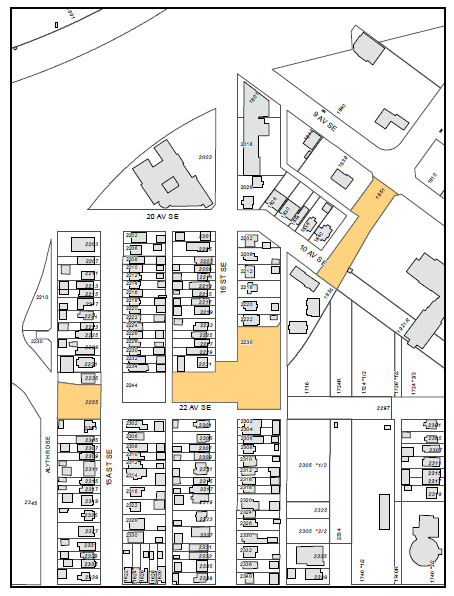 The subject area is located within the NEF 30+ contour, however the parcels located at 2230 16 Street SE and 2244 15A Street SE have been declared exempt from the AVPA regulation. These represent two of 14 exemptions granted city-wide for residential development. 1. Public Engagement – Workshop and online engagement with residents to learn and understand current use and thoughts on what its future state might be. Please click here to view the story boards that were presented at the public workshop. 2. Planning and Technical Analysis – A review of the sites, including policy analysis, their suitability for development, AVPA restrictions, underground utility implications, and transportation requirements. 3. Development Evaluation – An evaluation of site capacity, opportunities for market and affordable housing, and the potential for open space enhancement. Please share what opportunities and ideas you have for potential development within the study areas? Please share what issues and concerns you have for potential development within the study areas? Please share what opportunities and ideas you have for opportunities for open space enhancements within the study areas? Please share what issues and concerns you have for opportunities for open space enhancements within the study areas? Please share what opportunities and ideas you have for affordable housing and housing types within the study areas? Please share what issues and concerns you have for affordable housing and housing types within the study areas?